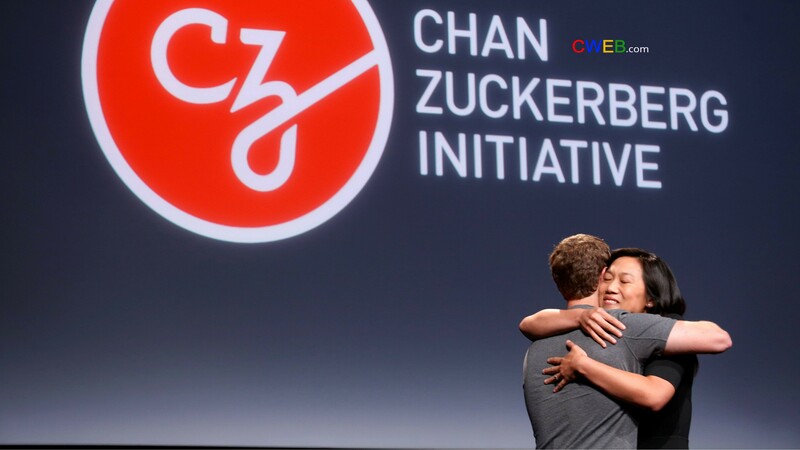 Mark Zuckerberg and Priscilla Chan are giving billions to charity through their donor-advised fund instead of a traditional foundation. Can you guess which U.S. organization raised the most money through charitable contributions in 2015? When we ask our students this question, most figure it was the United Way, the Salvation Army or the American Red Cross. However, according to the Chronicle of Philanthropy, while these traditional charities raise a lot of cash, a “donor-advised fund” known as the Fidelity Investments Charitable Gift Fund topped the list that year, the most recent for which data are available. Fidelity’s perch at the top – a first for a donor-advised fund – is no aberration. Fidelity is joined on the list by similarly named “charities” that sound unfamiliar, such as Schwab Charitable, the fourth-largest; and Vanguard Charitable in 11th place. All told, more than 13 percent of donations to the nation’s top 400 charities flowed into the coffers of donor-advised funds in 2015, the Chronicle found. These tax-exempt behemoths – Fidelity alone raised US$4.6 billion in 2015 and held assets of $15 billion – are increasing in prominence, yet have largely avoided the public eye. But these charitable vehicles are facing more scrutiny and talk of regulatory oversight as their growth catches the eye of lawmakers. And with tax reform heating up, Congress or the Trump administration may follow the lead of the previous House Ways and Means Committee chair and propose new restrictions on donor-advised funds. As experts in the tax and accounting issues surrounding charitable giving, we would like to explain what donor-advised funds are, what has fed their growth and some of the questions they raise. Donor-advised funds are essentially private foundations for the masses. Much as mutual funds make it easy for everyday investors to maintain diversified investment portfolios without too many hassles, donor-advised funds let anybody establish what amounts to their own foundation. In other words, they get to run a grant-making philanthropic institution of their own – minus all the red tape such an endeavor would otherwise require. The amount of money managed by institutions like Fidelity and Vanguard that sponsor these funds climbed 12 percent to $78.6 billion in 2015, according to the National Philanthropic Trust. Here’s how they work. Individuals transfer money or assets to donor-advised funds. Whenever they like, they contact the fund’s “sponsor” and “advise” it to, say, give the Red Cross $500. In the meantime, the rest of the assets set aside are invested, accruing gains for charity, not the donor’s benefit. To elaborate, people establishing donor-advised funds transfer the money and assets to sponsoring organizations that are registered as 501(𝚌)(3)charities. Those organizations are often tied to investment management powerhouses like Fidelity, Schwab and Vanguard. Many national charities and community foundations also sponsor these funds. Charities of all kinds later get donations from the investment pools. Donors, at least technically, only “advise” financial institutions, like Fidelity. Those institutions earn fees for their services as fund managers. Except to the extent specific charitable-purpose limitations are placed on the use of the funds, legally, donors cede control over the funds when they make the initial donation. This feature permits a tax deduction for that tax year, as would be the case with a more traditional charitable donation. However, because sponsoring organizations want donations to keep flowing, they typically heed donors’ subsequent guidance. The rise of donor-advised funds raises many questions, including whether they spur more giving. While following donor advice often entails making quick and targeted grants to operating charities, sometimes it means funds sit dormant when donors fail to make any choices. The pace of giving, measured as the share of assets annually paid out, varies among the funds. Every year, in fact, one in five donor-advised funds neglects to deliver any money to charities at all. For example, in 2015 these funds took in a total of $22.3 billion and passed $14.5 billion along to charitable causes, according to the National Philanthropic Trust. Critics of these ascendant fundraising vehicles say they primarily benefit the investment firms that manage these assets worth billions of dollars. Also, the tax break investors get when they build up donor-advised funds with appreciated assets, such as stocks and bonds, rather than cash is helping to fuel their growth and raising eyebrows. Consider the following example with two donors. One transfers $100 cash from his salary to a donor-advised fund. The other moves stock – an appreciated asset – currently valued at $100 but originally purchased for $10. While both donations are worth $100 to a charity, the donor with the stock reaps a bigger tax break at the time of the transfer. That is, the cash donor gets a $100 deduction but still must claim that $100 in salary as income. The stock donor gets to deduct the $100 gift after claiming only $10 as income – leaving out the stock’s $90 gain. In other words, shuffling such assets from their portfolios to donor-advised funds lets donors secure a tax advantage now with investments that have grown more valuable while postponing decisions about what to do with that money until later. Perhaps unsurprisingly, taking advantage of this tax break is the rule, not the exception. For example, Schwab Charitable reports that 59 percent of the contributions it received in 2016 were “noncash,” a term that most likely means appreciated assets. Similarly, Fidelity Charitable reported that 55 percent of its contributions in 2014 were securities and other assets rather than cash. Despite the appearance of an unfair windfall for privileged taxpayers, some experts have argued that the tax benefits for donors are overstated. John R. Brooks, a Georgetown University Law Center professor, even argues that many donors could fare better by waiting and giving directly to the charities of their choice when they are ready to do that. There’s another problem with these donor-advised funds. With typical donations, money moves immediately into an operating charity’s coffers, constituting an unconditional gift for tax purposes. With donor-advised funds, there’s a time lag before the charitable institutions get a boost. Can these still be called gifts? The IRS says yes, based on the fact that the sponsoring organization is technically a charity. It, not the donor, technically controls the funds. Yet many experts don’t agree. We often hear people refer to donors to a donor-advised fund as its “owners.” Donors, in fact, are often praised when distributions from their funds support operating charities, as happened when Facebook founder Mark Zuckerberg and his wife Priscilla Chan’s donor-advised fund gave $25 million to the CDC Foundation to fight Ebola. Donors sometimes try to use distributions from funds to satisfy their own personal pledges, as if they were making those gifts – again. Sponsoring organizations going their own way rather than heeding donor advice is a rare exception. That contradicts the notion that the initial donation is truly an unconditional gift. Do donor-advised funds spur more giving? Some experts who tout the rapid growth of donor-advised funds say this relatively new philanthropic arrangement democratizes giving. They also say that the potential downsides have not come to fruition and that donor-advised funds could bolster overall giving. However, the data suggest otherwise. Total giving in the U.S. has either flatlined, relative to the size of the economy, or scored modest gains, largely following stock market growth over the past 40 years. There’s no evidence that the rise of donor-advised funds has increased the volume of money supporting charities overall. Further, the groups that get the most grants from donor-advised funds are often among the country’s largest charities. Fidelity lists Doctors Without Borders USA, the Salvation Army, the United Way, Habitat for Humanity and American National Red Cross as its top five. As these groups themselves already have easy avenues through which donors can give, this suggests that donor-advised funds play more of an intermediary role rather than spurring new giving. Concerns that donor-advised funds warehouse charitable funds and take too long to give money to groups that will do good with it are on the rise, leading to calls for more regulation and oversight. People like Ray D. Madoff, a Boston College law professor who directs the Forum on Philanthropy and the Public Good, see donor-advised funds as a place where charitable assets sit when they could be put to work faster. One way that tax reform could resolve some concerns like these is by bringing about greater consistency. The minimum payout rules that already apply to foundations could be extended to other charitable vehicles, including donor-advised funds and university endowments. Alternatively, the government could stop forcing foundations to give away at least 5 percent of their assets every year. Even in the face of possible tax policy changes, the ease with which the wealthy and everyone else can use donor-advised funds to oversee their giving plans will remain appealing. For this reason, their growing role in modern philanthropy will likely continue unabated.